Photo used under Creative Commons license. Originally posted by the US Department of Education on Flickr. Early education is one of the most powerful ways to close the achievement gap between low-income and minority children and their more-advantaged peers. But all too often, pre-K advocates cite the same, decades-old research studies – the Abecedarian Project and the HighScope Perry Preschool Study, in particular – to prove the value of high-quality programs. A new report, Investing in Our Future: The Evidence Base on Preschool Education, published by the Society for Research in Child Development and the Foundation for Child Development earlier this month, offers an updated view of the research, and a path forward for scaled-up pre-K programs. Enhance language, literacy, and math skills. An analysis of 84 early education program evaluations found that programs produce, on average, about a third of a year of learning in children above their peers who didn’t attend pre-K. Studies of the Tulsa and Boston pre-K programs found the effects were even larger, ranging from a half to a full extra year of learning. Develop socio-emotional skills. Effects on this weren’t as strong (for example, the Head Start Impact study found no results, and a study of the Tulsa, OK pre-K program found effects only on certain metrics). The report’s authors suggest this might be because reducing aggression has not been an explicit focus of many of the programs that were evaluated. Improve health. Head Start is the only program to evaluate health improvements explicitly, and has been shown to promote immunization and reduce child mortality, especially from preventable diseases. …And it’s effective, for all children, despite what you may have heard. Pre-K programs have the greatest effects on low-income students, but even their wealthier peers benefit from public, universal pre-K programs. Certain racial or ethnic groups, as well as students with disabilities, have also been shown to benefit more than their white peers. Dual language learners, a growing population within the U.S., also benefit at least as much as native English speakers, and in some cases, much more. Pre-K programs have the greatest effects on low-income students, but even their wealthier peers benefit from public, universal pre-K programs. Two years of pre-K mean more than one. Most state-funded preschool programs center around 4-year-olds, but some extend to 3-year-olds, and though Head Start is intended to serve 4-year-olds, Early Head Start includes younger children, as well. 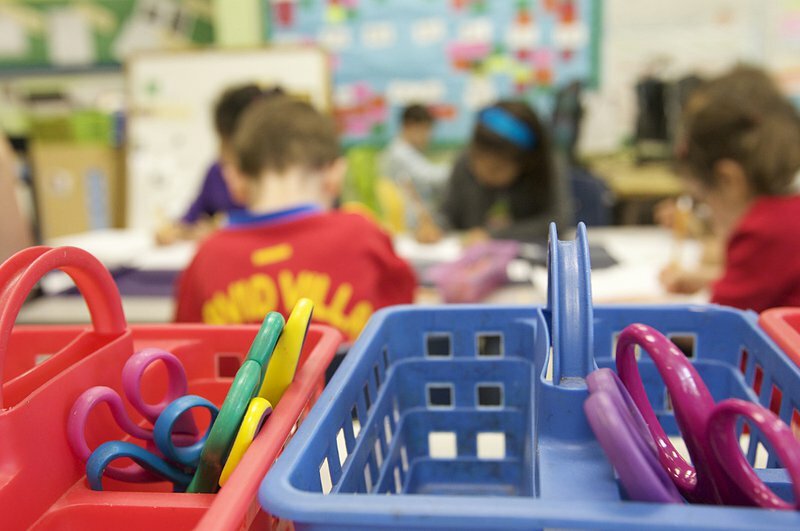 But it turns out the second year of pre-K could give disadvantaged children an extra boost. The gains in an additional year of pre-K are smaller than those made in just one year, but the researchers suggest that may be because the two-year programs include 3- and 4-year-old children, so the curriculum of a two-year program isn’t as well-targeted to the older children’s developmental needs. Structural quality measures: Small group sizes and lower staff-to-child ratios can allow children to have better interactions with teachers and other children. Teacher quality measures: Teachers with higher education levels or backgrounds in early childhood development perform better, but teachers also need coaching and professional development and support. Interactions-related (or process) measures: Teachers should engage in activities that require children to think and that include rich content in math, literacy, and language; carry on “serve-and-return” conversations with children; and utilize different materials, like books and blocks, which some evidence suggests is associated with larger gains. This is the most critical metric, though the structural elements can set the stage for high-quality interactions by facilitating better teacher-child engagement. We’ve been harping on this point for some time: It’s not enough for children to just attend a pre-K program to see results; they need to be enrolled in a high-quality program. The research shows most pre-K programs aren’t especially high-quality – nor are most very low-quality. That means teacher qualifications, parity of compensation, and quality monitoring are especially important for scaled-up pre-K programs, which are bound to show the same variation in quality. A well-designed curriculum with strong professional development may offer children greater opportunities for success. Developmentally focused curricula have been shown to be effective in developing academic, as well as socio-emotional and self-regulation, skills. The conclusion of this new look at the research is a promising one: pre-K bears out, in terms of costs, in the long term. With cost savings from reduced special education and remedial classwork, as well as reduced reliance on social services like social workers, and higher economic productivity when the pre-K graduates join the workforce, benefits are substantial. The benefit-cost ratio ranges by program, according to the research – but studies have found ratios ranging from 2.5 to 1, to 7 to 1 or higher. Click here to read the full report."